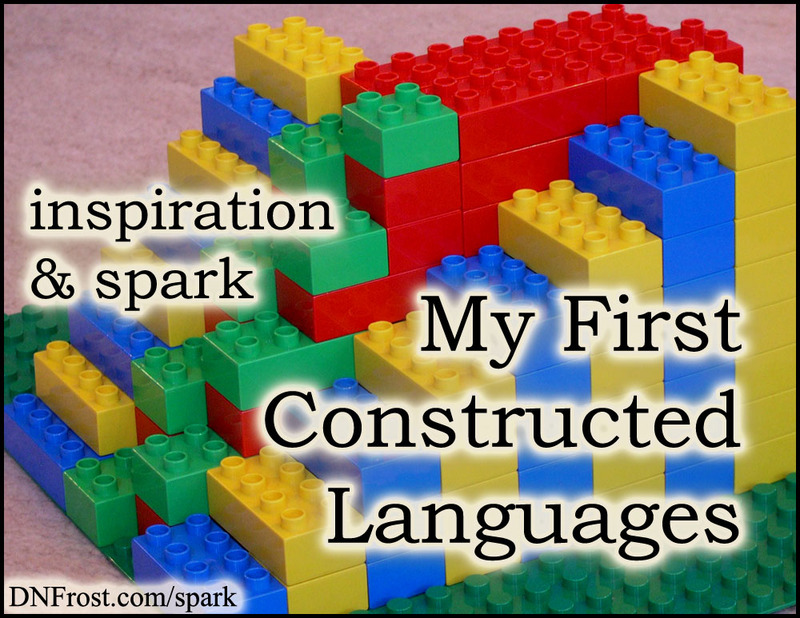 In Part 1 of this series, I discovered my love of language. While in high school, I began working on a number of writing collaborations with a friend. She had a sci-fi world envisioned where psychic plants had evolved to resemble the human form, and for the planet of Zenith, we developed a rudimentary language called Nithii. We cared primarily about the foreign squiggle for each letter of their alphabet, and we established some basic rules for how syllables combined - mostly to invent cool names for characters and deities in the plant pantheon. Neighboring the temperate planet Zenith was the hellish Zyph, where a runaway greenhouse effect broiled the once habitable planet into a vaporizing oven. Long ago, humans had arrived to colonize Zyph, only to discover that an ecological disaster had occurred during their long journey through space. Their mistake and desperation to survive spurred them to colonize Zenith instead, and the prehistoric psychic plants of the time grew to mimic the bipedal forms of the alien humans. Peace would not last, and over the next few centuries, the Nithii forced the humans off their planet. The humans returned to Zyph and tunneled underground, the only place where conditions were livable. They carved out huge warrens through the rock, but the surface temperatures were so dangerous that the humans endeavored some genetic manipulations. Akin to The Dragonriders of Pern, the human settlers crossed their DNA with tiny winged lizards that dwelt on the surface, to ensure their survival. Though the humans could unrealistically morph between a dragon form and a human form, their language grew to reflect their reptilian modifications. Hissing, guttural sounds with weird spellings made common appearances in names of characters and places. Over time, I dissected the names into different pieces, ascribing meaning to each piece. The language Zyphyr was born. Well before my Tales of the Known World saga, as my friend and I adventured in our sci-fi world, I invented a new race of beings from the planet Bluith, whose bodies were formed out of crystallized blue light. Though I never invented their language, I described it as a waterfall of consonants, a dizzying and unintelligible language without a single vowel. That's it for this post! Up Next: Linguistics classes and new creations... on 7/26.